Our Little Secret is getting a lot of buzz and recently won the Douglas Kennedy Prize for best foreign thriller. B.C. writer Roz Nay might consider herself a happy person, but her first novel shows off her dark side. Our Little Secret is a deliciously creepy thriller that's already getting international attention. In May, she travelled to Paris to pick up the Douglas Kennedy Prize for best foreign thriller. 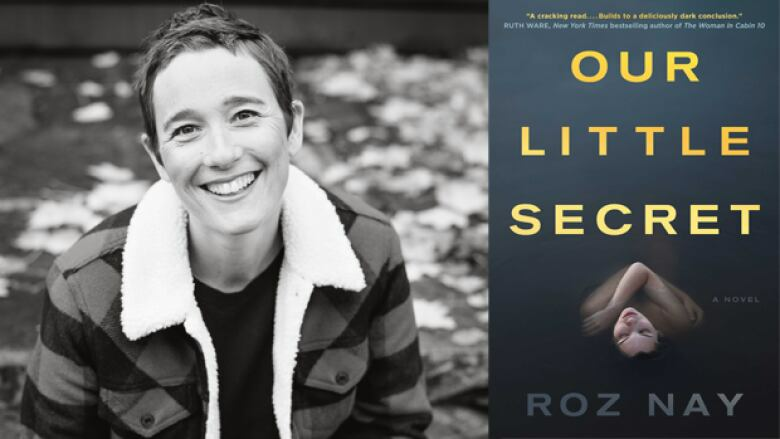 Our Little Secret is currently a finalist for the Arthur Ellis Award, which recognizes the best Canadian crime writing, for best first novel. In her own words, Nay tells us about the different things that inspired her first book. "Our Little Secret began as a 1,000-word short story in a writing class I was taking. I moved to Canada and quickly had two children, so I was elbow-deep in parenthood and stopped working. My husband signed me up for a writing course because he thought it would be healthy to have something that was completely different to do. I took the course and as an assignment I wrote a short story about Angela [the narrator]. When the course ended, I still didn't think I had a novel in me. But I liked Angela and I thought she was interesting." "It has surprised me how many things I have stashed away in my brain that I didn't know I was storing. I'm pulling them out left and right now — turns of phrase people have said to me, the gestures I've seen, moments that I've had. I'm slightly displaced. I emigrated in my 30s and I miss England and I'm homesick at times. Writing's become a way for me to revisit places that I miss. Oxford is a major one of those. I love that city and I always go there when I visit England. To be able to stage a section of the novel there was really enjoyable." "As a person, I'm quite happy-go-lucky and I had a nice, almost Sound of Music childhood. I'm quite grounded as a person, but I've always got one eye on the underbelly, the darker side of things. I think that my brain's gotten a bit darker in the last three years. The job that I do is relentless horribleness. I work in child protection. I do all the admin for adoptions here in this town, so I know the worst stories. All of them. I think that has played into it." "My workspace for Our Little Secret and the book I'm working on now is a kitchen table in a room full of everything to do with an eight-year-old and a 10-year-old. I write early in the morning because it's the only quiet time in the house and I work full time. I get up at 5:00 a.m. and I literally sweep the table clean of all the crayons and the maps that my son keeps drawing and sit down. I can't write on a cluttered table, but my life is definitely cluttered all the time." Roz Nay's comments have been edited and condensed.